Next up for the day was the 1A region 4 girls. Middle schoolers packed a big punch this race by having 8 out of the top 15 place. This race got out and on its way early with a tight pack of four in the front which was followed by another pack of five. 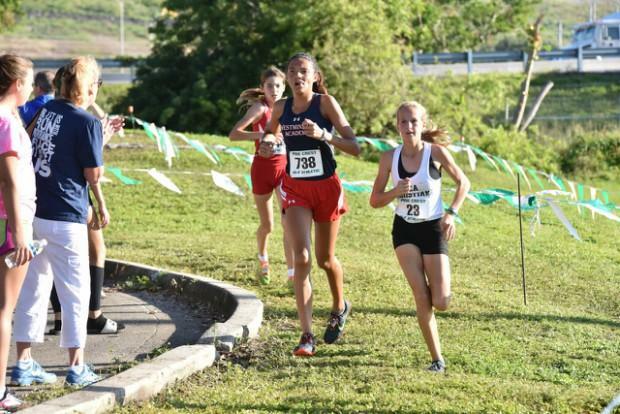 The leading pack for most of the race included Jasmine Hincapie from Westminster Academy, Sydnee Calder from Boca Raton Christian school, Lauren McGaffic from Miami Country Day school, and Mia Rodriguez from The King's Academy. Towards the last mile Hincapie stated to push the pace and ended up kicking with about 800 meters left to win the race for the third time in a row. We asked Hincapie about when she made her move. This is what she had to say "Right when we around the last lap to, so like about 1,000 meters to go, I knew she was right there and I knew how to push it a little. I just kept picking it up slowly to see if see would come with me and that's when she backed off". 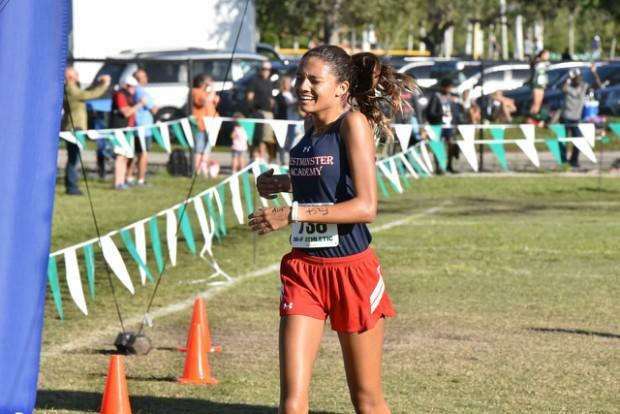 Jasmine Hincapie won the race with a time of 20:17.22 and was shortly followed up by Sydnee Calder who took second with a time of 20:30.49. Lauren McGaffic fell off the front pack but didn't let up which sealed her ticket to states with a third place finish at 20:52.96. Hincapie's team advanced to states with a third place finish. The other teams going as well are Miami Country Day School, The King's Academy, Westminster Christian School, St. John Paul II Academy, and South Florida HEAT. Next up for the day we're the 1A region 4 boys. 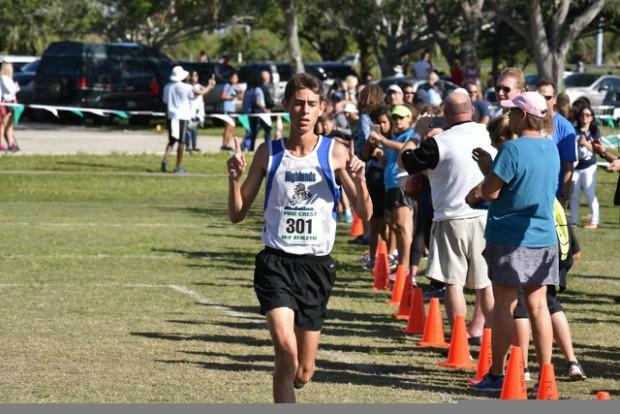 Ryan Szklany from Highlands Christian Academy was the favorite in this race. He has placed 4th, 3rd, and won last year so as expected, Szklany did what he does best and took the lead early. In the beginning we saw Szklany lead a pack of King's academy runners but by the middle of the race a few other runners got in the mix. Two runners from Marathon, Aydan Child and Jonathan Pitchford, made moves to try and catch Szklany but finished second and third. Ryan Szklany won regionals again with a time of 17:24.25. We got to talk with Ryan Szklany about his last week's PR. "I was trying to go into that race and hit it hard. It was my first real test to just run really hard on a fast course, so I was trying to go sub 16. I hit 16:05 so I was happy with that, it was a big PR for me so I was really excited about that plus our team moved on to regionals". This race he was trying to stay calm and comfortable while gearing up for the state race next week. Unfortunately Szklany's team won't be advancing to the state race but here's who will be. Palmer Trinity School, The King's Academy, Marathon, Westminster Academy, Lake Worth Christian, and Florida Christian.